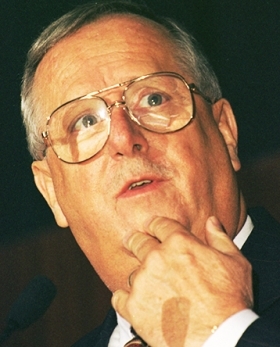 January 1998: Schrempp meets with Chrysler Chairman Bob Eaton at Chrysler headquarters during the Detroit auto show to suggest a merger. "I have come to the conclusion that if we get together we will really fit perfectly well," Schrempp tells Eaton, according to the 2000 book Taken for a Ride by Bill Vlasic and Bradley Stertz. "Product, geography, everything fits." He also meets with Ford Motor Co. CEO Alex Trotman at a downtown Detroit hotel later the same day. Shortly afterward, Eaton calls Kerkorian to say he's talking to Daimler and "this looks like it could be a good marriage. There are a lot of pluses." Later in January, Eaton calls Schrempp to say, "Juergen, I think this is a good idea. We should talk." 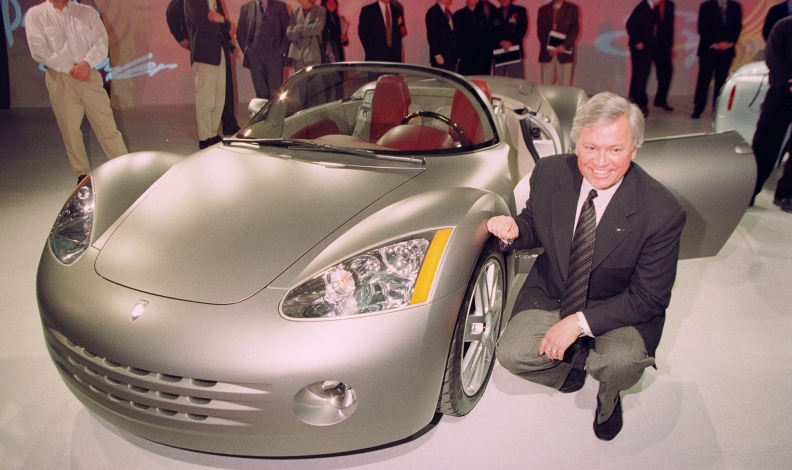 June 2000: DaimlerChrysler says it will pay $428 million for a 10 percent stake in Hyundai Motor Co.
September 2000 Chrysler designer Tom Gale, above, announces his retirement at the Paris auto show. He says, "By and large, I think we've made it work OK, I suppose. Time will tell. It's not for the lack of people having good intentions. There's no smoking gun." October 2000 Schrempp tells the Financial Times of London that the deal with Chrysler was always envisioned as a takeover and not a "merger of equals," saying that he had portrayed it as such "for psychological reasons" to get Chrysler executives on board. 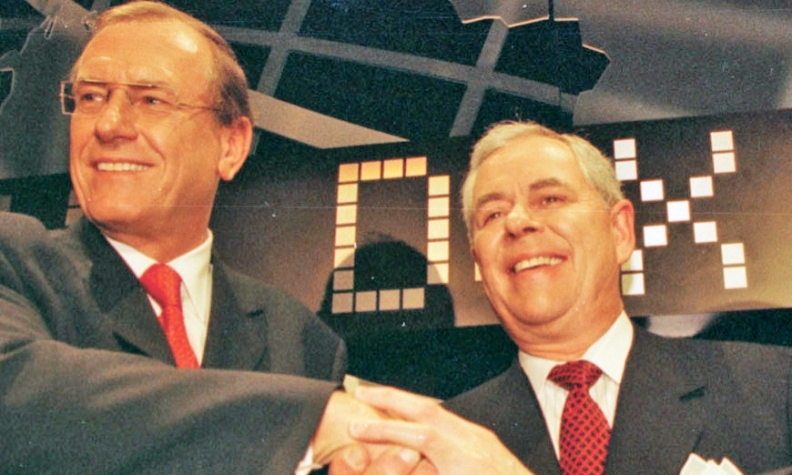 November 2000 DaimlerChrysler fires Holden, bringing in Dieter Zetsche as Chrysler's CEO and Wolfgang Bernhard as COO. January 2001 Chrysler announces 26,000 job cuts and six plant closures in North America. 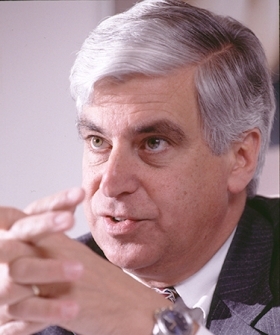 February 2001 Eaton tells Automotive News that he never attempted to deceive anyone about the merger. "I believed from the bottom of my heart that this was a merger of equals," Eaton says, "and I believed that the combined company would be the strongest automotive company in the world." April 2005 Kerkorian loses his fraud lawsuit. January 2006 Zetsche succeeds Schrempp as chairman of DaimlerChrysler. February 2007 Chrysler announces 13,000 job cuts as part of a restructuring, and DaimlerChrysler says all options for Chrysler are being considered, including a sale. May 2007 DaimlerChrysler sells 80.1 percent of Chrysler to Cerberus Capital Management for $7.4 billion, with most of the money going back into Chrysler, and says it will become known as Daimler AG. April 2009 Daimler sells its remaining 19.9 percent stake in Chrysler.